Another adventure in foreign terrain has once again begun, since JWOC trials in March time has flew by in a blink of an eye and with only 7 weeks till my departure every training session will count and benefit me. I am most looking forward to the culture and JWOC atmosphere that Norway has to offer in 2015, it was a great experience last year in Bulgaria and I see this year as a more serious experience, or to somewhat improve on previous results, this year I know what to expect and how to prevent my nerves getting to me. Although I see that going into the race with no expectation or just running through the normal motions of orienteering will help me to race well and focus on finding the controls in perfect flow, I found last year I really lacked the mental and technical aspect of orienteering and it really showed in the long distance for not only JWOC but also at the World Cup, I will put that behind me and continue to focus on strengthening those weaknesses. 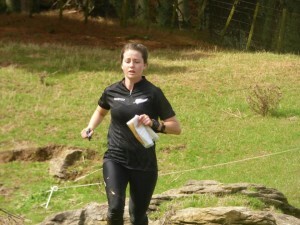 Mental strength in a race situation is one of the most important aspects as it carries you through the race and is an aspect that always needs improvement to become a great orienteer, not only to stay in focus for a long period of time but to perform in conditions that you as the athlete can’t control. Nationals has been a highlight this year with the JWOC team do reasonably well and showing there consistency over the 3 main events, it goes to show that with the effort you put into training physically, mentally and technically does pay off in the long run. I found this terrain in particular the area used for the middle and long, challenging and an aspect of physicality due to the steep terrain and karst landscape that allowed for thinking ahead on legs and route choice. I was pleased with my results, having had a similar consistency to Nationals in 2014 with placings of 2nd in the middle, 1st in the long and 5th in W21E sprint. Thanks to the W20 girls for bringing some fierce and hard competition to the weekend, was great to see everyone and let’s show them what we have to offer in Norway! Post Nationals training has been around 6 weeks of base training with longer efforts and more focus on distance. I am happy to within the next week be adding shorter efforts and hill sessions. Focus with now move towards priming my speed and stamina in the lead up towards JWOC competition week. I have been more consistent with my training following last year being under prepared for JWOC and a hard summer having done very little training in preparation for the World Cup, Having had the experience from last year it has given me incentive to train hard and race hard in order to perform well and be ready for what this year will bring. The next event in preparation for JWOC is GRAM (Geraldine Rogaine Autumn Muster), me along with Sophie and Felix Harrison will be racing over 6hours in hill country terrain near the small rural town of Geraldine. This will give us the benefit of planning ahead and keeping in contact with the map over the longer route choices. I’m happy to be starting to do longer events which exceeds the 55-70mins winning time for the W20 grade long distance. I have also registered for the Cross-country season with Christchurch Avon, with having had a 2 year break from competitive athletics and cross-country, I look forward to racing and improving in speed as well as enjoying what I have a strong passion for. I will be racing in the Jane Patterson Race this weekend at Rawhiti Domain and several others during the season prior to JWOC and after. Norway will definitely be something different from anything I have ever run on, during training week I will be focusing on familiarisation of features that are in the terrain, as well as knowing my strengths and weaknesses of the terrain that can be altered and therefore help me to focus on the important navigation techniques when racing, I will take this week easy and incorporate light 25-30min runs into the week. I look forward to meeting the team in Oslo and to start training on some amazing terrain. Bring on Norway and let’s go beyond the limits of Adventure!